Evergrey have become an institution in the prog metal genre. The five Swedes have been around for fifteen years, releasing now their seventh official studio album Torn. Unlike on earlier efforts, they have found an appetite for more compact songwriting, so that you will look in vain for overly long compositions. Still you get everything that makes every power and progressive metal fan happy. With the bass player Jari Kainulainen (ex-Stratovarius), the band leaves an overall harder impression than in the past. Although the songs are hardly catchy, a closer inspection reveals itself very rewarding. Making a detour around standard metal sounds, Evergrey show themselves from many different sides. Next to wild rocking tracks (Soaked) are placed pounding mid-tempo pieces (In Confidence), and fierce smashers (Nothing Is Erased) show Evergrey from an unaccustomed aggressive side. The concluding These Scars sees vocalist Tom Englung in a duet with his wife Carina Kjellberg. All the songs take are ingeniously arrangements, which goes a little at the expense of the accessibility though. Comparisons to Symphony X and Kamelot may still be mentioned, but worse things can happen to a metal band. 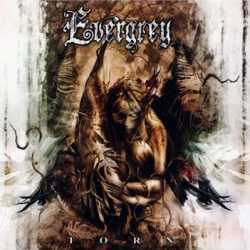 The CD is perfectly produced, emphasising further Evergrey’s qualities. Torn is an overall accomplished album, but the band should ponder to display in the future more of their harder side which suits them exceptionally well.